Considering the expansive, convenient and pocket-friendly features of Indian Railways, it is unarguably the most preferred mode of travel since its inception. Spreading their reach from the urban metropolis to the remotest part of the country, a train journey always invokes a sense of thrill and excitement. Train travel is broadly believed to be one of the safest mode of transport. However some of the rail routes in India are so treacherous that even the bravest of travellers will feel a chill down the spine as they go through them. So, are you ready to take a ride on three of the most dangerous rail routes of India? 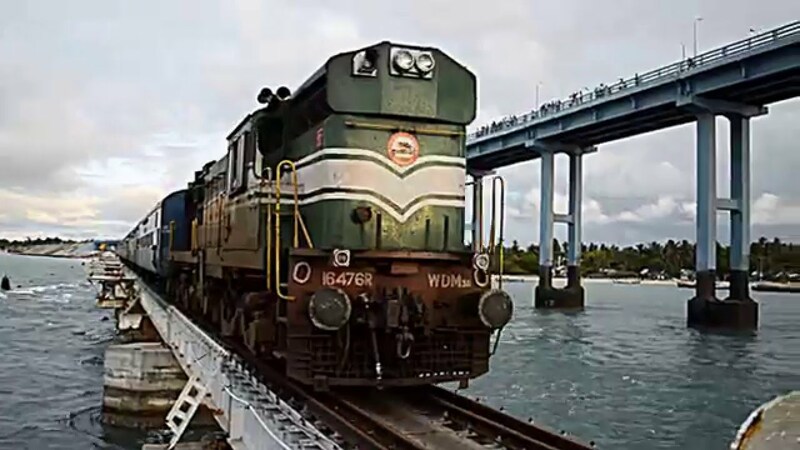 Mandapam – Rameswaram route: Topping the chart, the Mandapam – Rameswaram route is undoubtedly one of the most thrilling rail routes of India. Navigating through the second longest sea bridge in India, the route connects Mandapam in Tamil Nadu to the island of Rameswaram. An engineering marvel, the Pamban bridge spans over 2km and the central part of the bridge opens up to allow ferry passage. Commissioned in 1914, the route is highly popular amongst pilgrims and adventure birds alike. The Sethu Express takes this precarious rail route over the sea and offers an overwhelming experience which is exhilarating and petrifying at equal proportion. Since its one of the busiest routes, it’s advisable to check for train availability through Indian Railways inquiry service. A fascinating journey for pilgrims and adventure enthusiasts alike, this journey is a must-include in the bucket list. Jammu – Udhampur route: While discussing about enchanting rail routes it is obvious that the beauty of Kashmir can’t be ignored. But the route between Jammu and Udhampur secures a place in the list of deadliest rail routes of the country as well as it passes through some of the high intensity earthquake regions. On one hand the picturesque mountain ranges and snow-capped milieus beguile you, while on the other the steep gorges and dark misty tunnels will scare you to the core. But the scary factor should not dissuade you from taking this snow sojourn because the beauty and magnificence that you experience in this route is unparalleled. Through the ixigo website you can do train enquiry, seat availability and check where my train is for different trains running in this route. Challenge the Braveheart in you and go for an experience of a lifetime by travelling across these thrilling routes. The adrenaline rush that you will feel while going for them is worth all the risk.